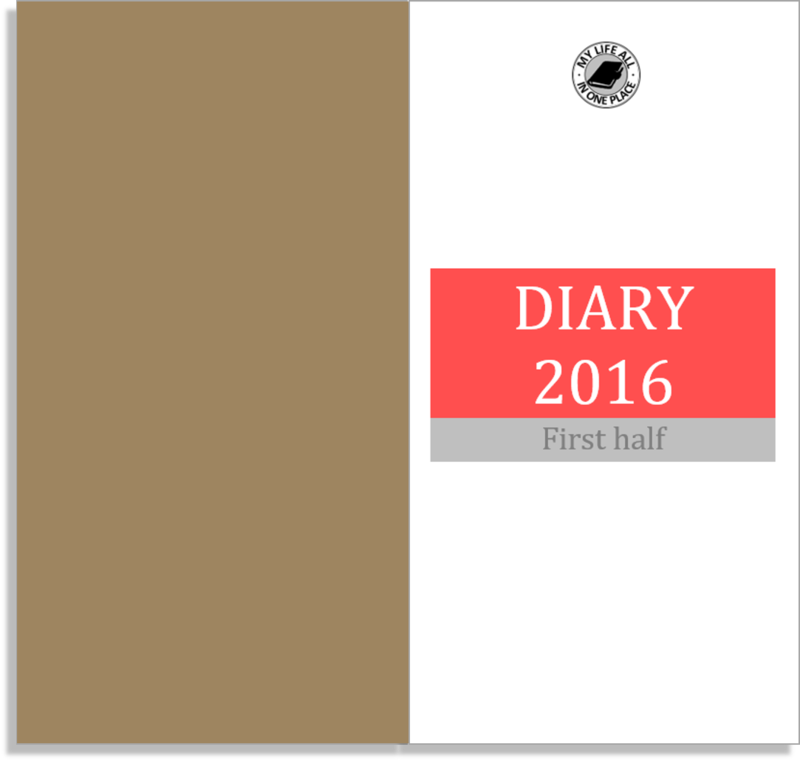 When I released 2016 sets for the new Purist layout for the Traveller's Notebook I promised to make the source files available. These will allow you to tinker with the layout and make changes. 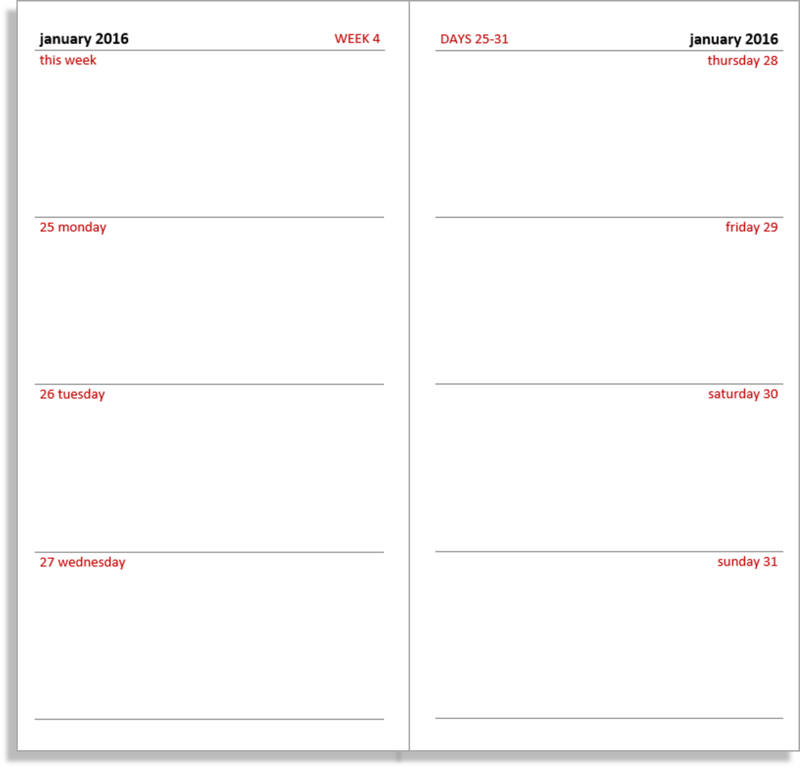 This new weekly layout is based on one that I made a while ago in Field Notes Size. 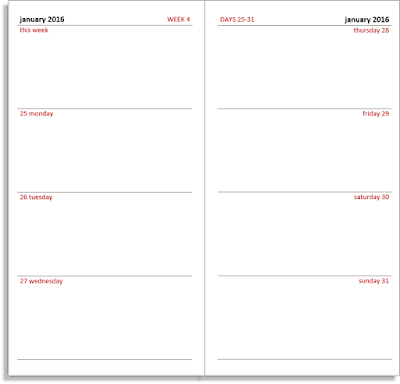 I've called this the 'Purist' layout because it is all about the days. At the top of each spread there is week and day numbering and each day of the week is given equal space. This is for people who think that a diary is a diary and should not need to accommodate notes, actions nor anything else. You can download and print it for free. Links to the prepared half year sets for 2016 are below. I will make source files available shortly so you can roll up your sleeves.